Don't know how to scrapbook? I have kits for creating a 16 page 6" x 6" scrapbook available for purchase. All you need is time, adhesive and a scrapbook. No longer available through Stampin' Up! but can be purchased from me at an additional $12.00. 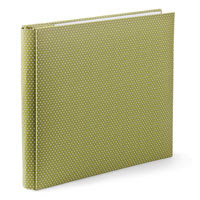 A small album, like our fun-loving Polka-Dot 6" x 6" post album, is the perfect way to store a snapshot of time, whether it’s memories of your teenager’s summer of sixteen or any other season of coming of age. Contact me for ordering information.